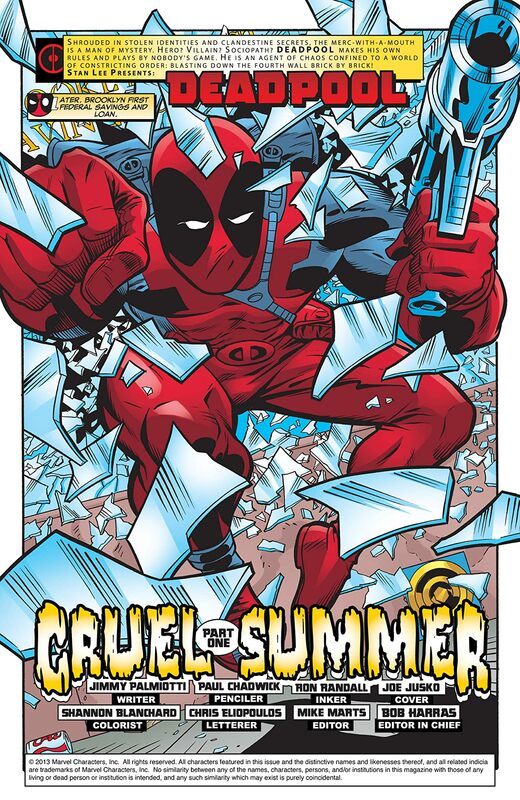 It's a cruel summer when Deadpool takes on the mob! 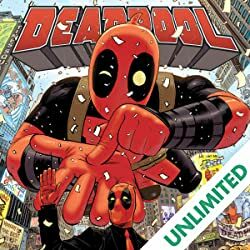 Hired by a dirty cop to kill six Mafia dons, Deadpool soon falls for his contact, a beautiful tattoo artist. 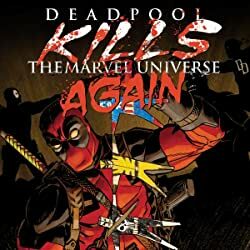 But all is not as it seems. 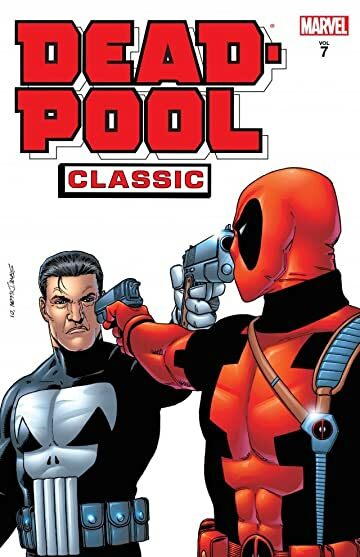 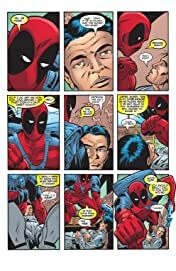 Then, Deadpool gets an unwelcome sidekick, the youthful Pool Boy - but will the partnership kill them both? 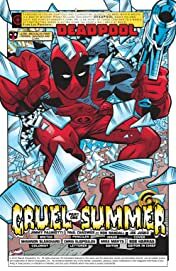 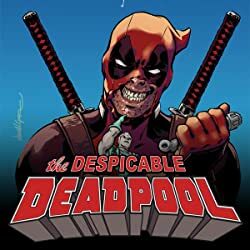 And Deadpool's shapeshifting ex-girlfriend Copycat returns, insane with jealousy, just as Deadpool must face the maniacal Mercy Sisters! Plus: Blood and bullets fly when Deadpool accepts a contract on the Punisher's life! 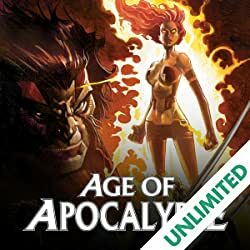 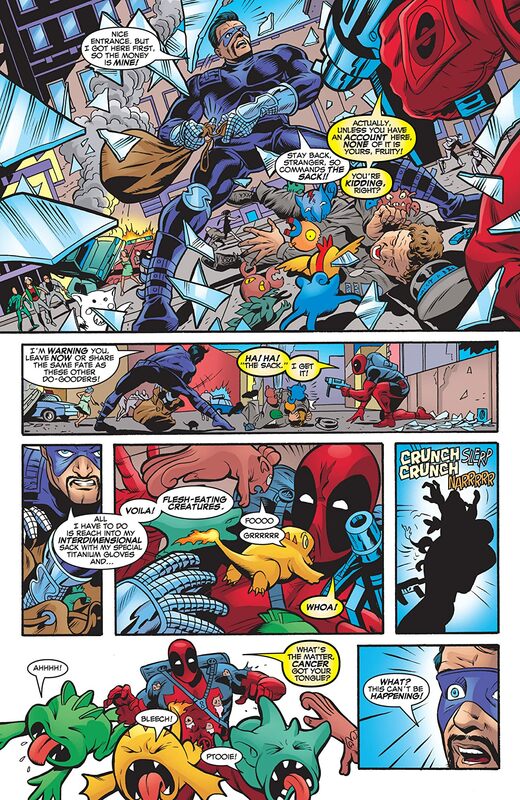 Guest-starring Deadpool's longtime crush, X-Force's Siryn! 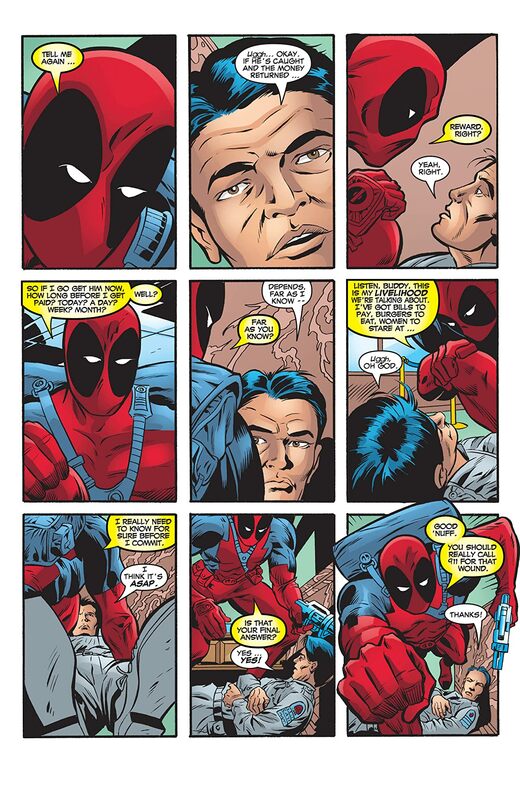 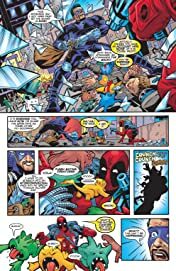 It's all-out action as only the Merc With a Mouth can deliver!